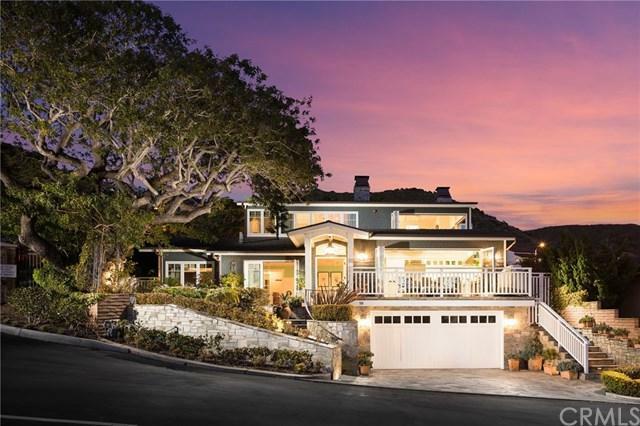 59 Lagunita Drive, Laguna Beach, CA 92651 (#300968410) :: Ascent Real Estate, Inc. Incredible opportunity in the desirable seaside gated community of Lagunita. Designed by famed architect Tim Nicol and built from the ground up by Charlie Williams in 2012, 59 Lagunita represents the essence of coastal modern day living. Perched up on the upper row, the cape cod style residence was designed to take advantage of the stunning coastal and white water views through sliding walls of glass. 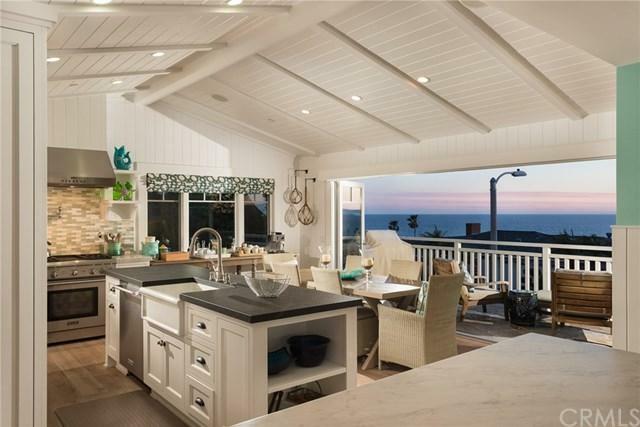 Indoor/outdoor living with French doors ushering you out to the front and rear patios spaces, both featur Incredible opportunity in the desirable seaside gated community of Lagunita. Designed by famed architect Tim Nicol and built from the ground up by Charlie Williams in 2012, 59 Lagunita represents the essence of coastal modern day living. Perched up on the upper row, the cape cod style residence was designed to take advantage of the stunning coastal and white water views through sliding walls of glass. Indoor/outdoor living with French doors ushering you out to the front and rear patios spaces, both featuring fire features. A main level open layout that includes a gourmet kitchen and dining with adjacent deck through bi-fold doors. Three spacious main level bedrooms with coastal flair and . 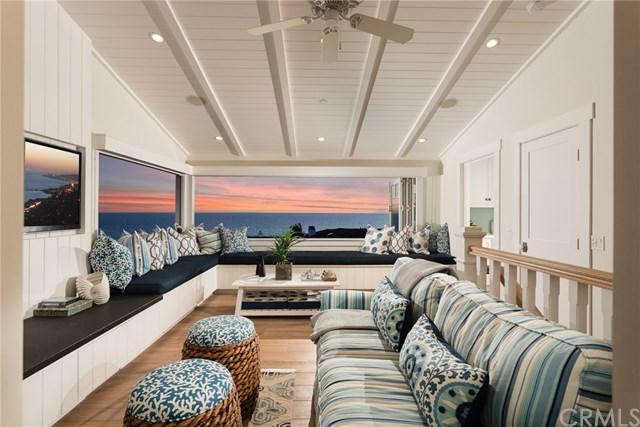 The upper level is comprised of the large master suite with coastal view and a spa-like bathroom and a family gathering space with wet bar, designer powder bath, fireplace and incredible bi-fold windows that give way to nothing but ocean and Catalina views. 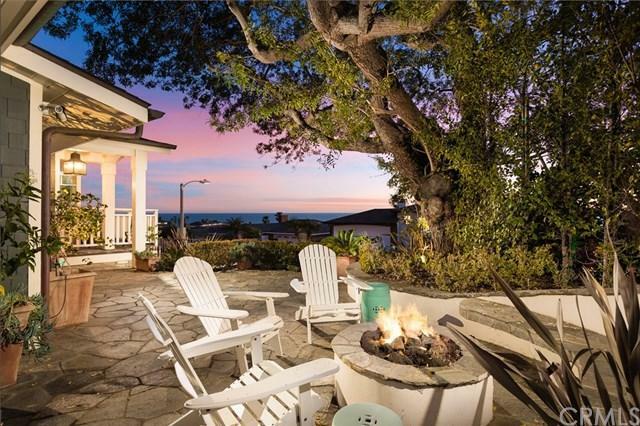 Lagunita has become one of the more popular enclaves in Laguna Beach due to its quaint, gated nature and offering low HOA dues and private beach access to the popular Victoria Beach. The renowned Montage Resort is only a short walk away and residents enjoy easy access to both South Laguna and the the vibrant Hip District only a short drive north.